According to the Library of Congress, in 1613, William Shakespeare purchased a home in London’s Blackfriars district from Henry Walker. It was the Bard’s sole real estate purchase in the city of London, and he never lived there himself. Instead, the LOC details that it was only an investment property. Interestingly, the Blackfriars gatehouse that Shakespeare purchased in the early 17th century had a long history of Catholic owners and tenants, including relations of the renowned Edmund Campion who himself was martyred for his beliefs and efforts in the counter-reformation. According to Heinrich Mutschmann and Karl P. Wentersdorf in their work Shakespeare and Catholicism, due to the house's numerous nooks, crannies, secret passage ways, and hideouts, it was often thought to be a place where illegal Catholic masses could be said and priests could be harbored. Owning a property that is connected to a certain idea or group of people—in this case, Catholics—does not make said owner necessarily a practitioner of the same ideas or one of the group, to be sure. Nevertheless, in this case, Shakespeare’s association with and ownership of the Blackfriars house is an interesting piece of the puzzle. Evidence 2 – His plays show sympathy toward Catholic characters and a deep understanding of Catholic theology. 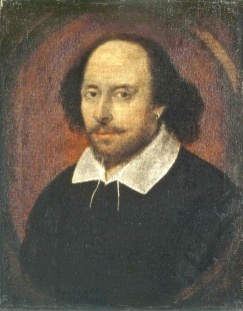 Many scholars have noted the Catholic instances in several of Shakespeare’s plays. Naturally, if Shakespeare was an undercover Catholic, he would have needed to be discreet in any reference to Catholicism. Living in Protestant England at a time when roll was taken to be sure citizens attended a proper church service and Catholics were persecuted for their faith, any outright Catholic sympathizing would have landed the Bard in a world of hurt. 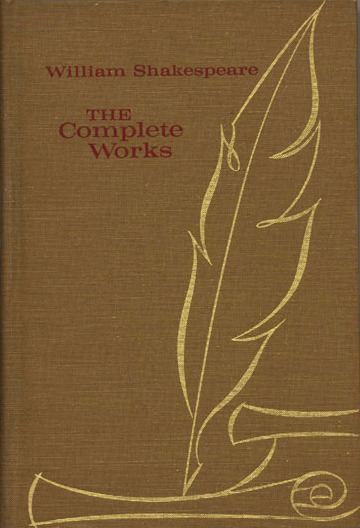 That didn’t stop him from including many instances of Catholicism in his plays. David Beauregard’s Catholic Theology in Shakespeare’s Plays cites examples from Hamlet of Shakespeare’s use of purgatory, a distinctly Catholic belief. He calls our attention to the sympathetic priest in Romeo and Juliet, the reference to indulgences by Prospero in The Tempest, the distinct use of Catholic wedding ceremonies throughout the comedies, and many other examples. The use of Catholic theological signifiers in his works does not mean Shakespeare himself was Catholic. Correlation doesn’t equal causation, as they say. But Beauregard’s argument is an interesting one. Whether you believe it or not, it’s important to ask yourself what all this Catholic inclusion would have been for? Evidence 3 – His family was Catholic. Again, just because Shakespeare’s family was Catholic does not make him Catholic, or determine outright for us that he was a practicing Catholic in his lifetime. But, he does seem to have roots in Catholicism. According to scholar and author Joseph Pearce in his book Through Shakespeare’s Eyes: Seeing the Catholic Presence in the Plays, Shakespeare’s father, John, was “a defiant Catholic in the midst of widespread anti-Catholic persecution”. He cites the fact that John Shakespeare was fined in the late 16th century for recusancy, or the refusal to attend protestant services. Shakespeare’s mother, Mary (née Arden), was part of the staunchly Catholic Arden family. Likewise, Peter Ackroyd in his Shakespeare: the Biography notes that Shakespeare’s daughter, Susanna was documented as not having received (Anglican) Holy Communion on Easter in 1606, again leading some to view this as a show of Catholic leanings. Evidence 4 – A copy of his first folio was recently discovered and can be traced back to a Jesuit university. In November 2014, a copy of Shakespeare’s first folio was discovered in St. Omar, France. This brings the total number of accounted-for first folios (including this most recent find, but not including "ours," of course!) to 234. 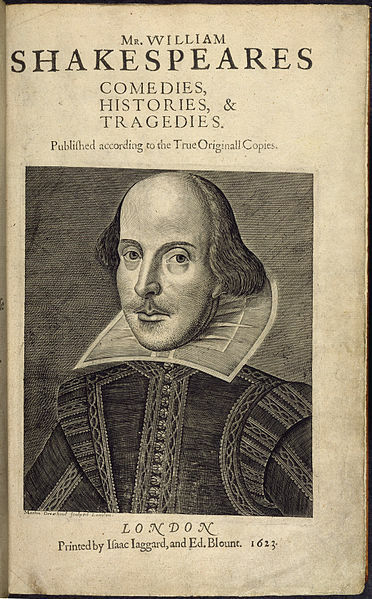 The discovery of the 2014 first folio was significant for several reasons. First, it’s another example of why we all should be on the lookout for rare and important books on library shelves, in attics, at book sales, and pretty much anywhere. The librarian who found this copy said it was cataloged as an 18th century later copy of Shakespeare’s works, but a glance at the text had him running to compare its points to those of the first folio. His keen eye paid off. For the sake of today’s post, this particular copy of the first folio is significant because while it was discovered at the St. Omar library, it can be traced back to a former Jesuit university in the same town. Digging deeper, this copy of the first folio is inscribed with the name “Nevill” which is a known nickname for Edward Scarisbrick who came from a strongly Catholic family and is known to have attended this Jesuit college. Why does this all matter? Well, it shows some sort of tie between Shakespeare and the Jesuits. It provides a paper trail, of sorts. So there are four bits of evidence which, when collected, reveal a substantial argument for Shakespeare’s involvement in Catholicism. The extent of that involvement may never be known. Still, questions about Shakespeare’s religion follow in a long line of questions about the playwright. In fact, Shakespeare’s whole life is often questioned. What day was he actually born? What day did he actually die? Did he write all of his plays? Do we know for sure how to spell his name? What did he actually look like since we know he never ordered a portrait of himself in his lifetime? Sources: Library of Congress, Blackfriars Mansion, Hannibal Hamlin, Joseph Pearce, Peter Ackroyd, The Atlantic, The Independent, Macbeth.